Everybody loves a gorgeous spaceship that can zoom through the cosmos — but there's something majestic and beautiful about a space station, that stays in one place or orbits one planet. 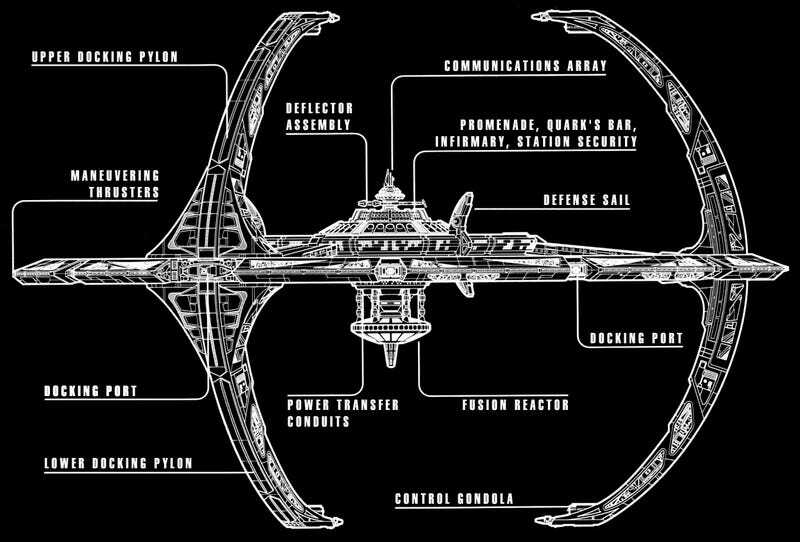 Here are some of the most beautifully designed space stations in any universe. Satellite Five, with 501 floors, went online in the year 199,909, when it was responsible for broadcasting 600 channels of news reports throughout the Fourth Great and Bountiful Human Empire. After 200,000 it was used as a Game Station run by the Bad Wolf Corporation. The station was seen in the new first season of Doctor Who in 2005.